There are many ways to get involved in biodiversity and threatened species conservation. A wide range of organisations across Victoria provide great opportunities to do practical things that really make a difference in the protection and management of our natural values. These groups offer volunteering, citizen science programs, research and surveys, on ground works, education, communication and many other activities that may appeal to you. The list of statewide groups and organisations provided here is a good starting point in finding an opportunity that may be of interest to you and can often provide a way to connect with local groups and networks that are active in your area. Please contact SWIFFT if you would like your organisation or group listed. Alternatively visit the projects page to discover activities and intiatives that are happening in your region. Australasian Native Orchid Society Inc. The Australasian Native Orchid Society Inc. is the major organisation promoting the understanding and appreciation of orchids growing naturally in our region of the world – Australia, New Zealand, New Guinea and the adjacent western Pacific. We focus on a number of areas including conservation, research, breeding of species and hybrids, culture, shows, displays and judging, photography, learning about the Australian flora and environment, and field excursions. The Australasian Wader Studies Group (AWSG) was formed in 1981 as a special interest group of BirdLife Australia to coordinate and focus studies on waders, or shorebirds, in Australia and throughout their migration routes in the Asia Pacific. BirdLife Australia is the largest bird conservation organisation in Australia. BirdLife Australia undertakes research, conservation, education and communcation activities to protect birds and their habitat. BirdLife Australia manages the national Birdata system that collects scientific data for research and conservation of bird communities and habitat. Bush Heritage Australia is a national not-for-profit organisation that purchases and manages land of high conservation value to achieve environmental outcomes. Bush Heritage Australia works with a range of organisations and stakeholders to strategically protect and manage biodiversity and ecosystems. Conservation Volunteers Australia (CVA) provides opportunities to get involved in a wide range of conservation projects across Australia. CVA volunteers do not require prior skills or experience and can select from a range of projects that suit availability and interest areas. Landcare Australia is a not-for-profit organisation, and registered charity, which leads the promotion of and provision of financial support to the Landcare movement’s national resource management programme in Australia; aligning the practice of environmental management with land productivity, and devolving governance and management to local communities. Native Fish Australia is a volunteer organisation that is open to anyone who cares about the well-being of Australia's native freshwater fish and the rivers, streams and other waterways that they inhabit. The Arthur Rylah Institute for Environmental Research (ARI) is a leading centre for applied ecological research, with an emphasis on flora, fauna and biodiversity issues. ARI's main focus is on providing strategic research and management advice to answer key questions affecting ecologically sustainable land or water management and resource use policies. The Coastcare Victoria program leads and supports community stewardship of Victoria’s coast. Coastcare Victoria proudly supports thousands of community volunteer groups working to protect and enhance Victoria's 1800 kilometres of coastline. DELWP brings together Victoria’s planning, local government, environment, energy, suburban development, forests, emergency management, climate change and water functions into a single department to strengthen connections between the environment, community, industry and economy. The Field Naturalists Club of Victoria (FNCV) was established in 1880 to gain an understanding of our natural world. Field Naturalists Clubs undertake excursions, surveys, training and workshops, information forums and produces The Victorian Naturalist journal. Friends groups work with relevant management authorities - such as Parks Victoria, councils, Trust for Nature - to help protect and conserve natural values on reserves, state parks, national parks and other forms of public land. IFFA is the Indigenous Flora and Fauna Association and is dedicated to the future of the Australian flora and fauna, whether in habitats of world heritage quality or in the urban back yard. Landcare is a community based initiative that brings together landholders, volunteers and the conservation sector to protect and management environmental values and land productivity. There are over 5000 local landcare groups across Australia and over 500 groups in Victoria. Through community action, research, education and demonstration projects achieve enduring, positive change for the natural environment. Parks Victoria is a statutory authority, created by the Parks Victoria Act 2018 and reporting to the Minister. We are responsible for managing an expanding and diverse estate covering more than 4 million hectares, or about 18 per cent, of Victoria. Parks Victoria is committed to delivering works on the ground across Victoria’s park network to protect and enhance park values. It is our primary responsibility to ensure parks are healthy and resilient for current and future generations. Royal Botanic Gardens Victoria is one of the world's leading botanic gardens and a centre of excellence for horticulture, science and education. Royal Botanic Gardens Victoria is dedicated to the conservation, display and enjoyment of plants and extends over two locations, Melbourne and Cranbourne, and incorporates the National Herbarium of Victoria. Trust for Nature works with landowners to conserve habitat on private land through establishment of conservation convenants and conservation reserves. There are over 1,400 voluntary conservation covenants in place in Victoria and 43 Trust for Nature managed reserves. The Victorian Wader Study Group (VWSG) was formally constituted in 1978, however fieldwork actually began in 1975. The VWSG's primary objective is to conduct a long-term comprehensive study of waders and terns throughout Victoria. The VWSG is a non-profit organisation and is made up of around 140 volunteers. Wildlife Victoria provides a vital link for the community between distressed Australian wildlife and the appropriate response and care needed. We utilise our technology, experience and knowledge, together with positive collaborations to advocate for better wildlife welfare and educate the community about how to successfully co-exist with these iconic creatures. 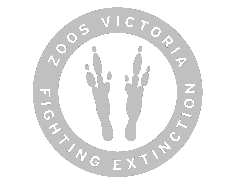 Zoos Victoria is a not-for-profit conservation organisation dedicated to fighting wildlife extinction. This is achieved through breeding and recovery programs for threatened species and by working with visitors and supporters to reduce threats facing endangered wildlife. ANGAIR (Anglesea, Aireys Inlet Society for the Protection of Flora and Fauna) is dedicated to protecting our indigenous flora and fauna, and to maintaining the natural beauty of Anglesea and Aireys Inlet and their local environments. Connecting Country (Mount Alexander Region) Inc is a community-based not-for-profit organisation that aims to increase, enhance and restore biodiversity across the Mount Alexander Shire and surrounds in central Victoria. Conservation Management Networks (CMN’s) are land based networks for conservation of threatened ecological communities (flora & fauna) and remnant vegetation. They are supported through a network of landowners, land managers and the community. Corangamite CMA is committed to healthy catchments and waterways. Established in 1997 to ensure the protection and sustainable development of land, vegetation and water resources within a boundary stretching from Geelong to Ballarat and along the coast to Peterborough. Nillumbik Landcare Network is an organisation that brings together and supports the Landcare groups operating within Nillumbik. Landcare groups within Nillumbik are focussed mainly on the management of biodiversity and agricultural assets on private land within the shire. The Port Phillip EcoCentre is a place where environmental solutions are hatched and nurtured. The EcoCentre is a not-for-profit, community-managed, environment group, providing a base for affiliate groups involved in activities that promote biodiversity, environmental sustainability and community action. Swamps, Rivers and Ranges is a community-driven landscape restoration project in North East Victoria designed to strengthen the relationships between people and the landscapes they live in, for their mutual benefit.